This house has an unusual history in that the main house was rebuilt but the attached barn is part of the original structure. The first house was built circa 1807 for Mrs. Sarah Dunton, whose husband, Ebenezer, had built the original Knox mansion. Mr. Dunton deserted his wife and went to the West Indies where he married a Creole woman. 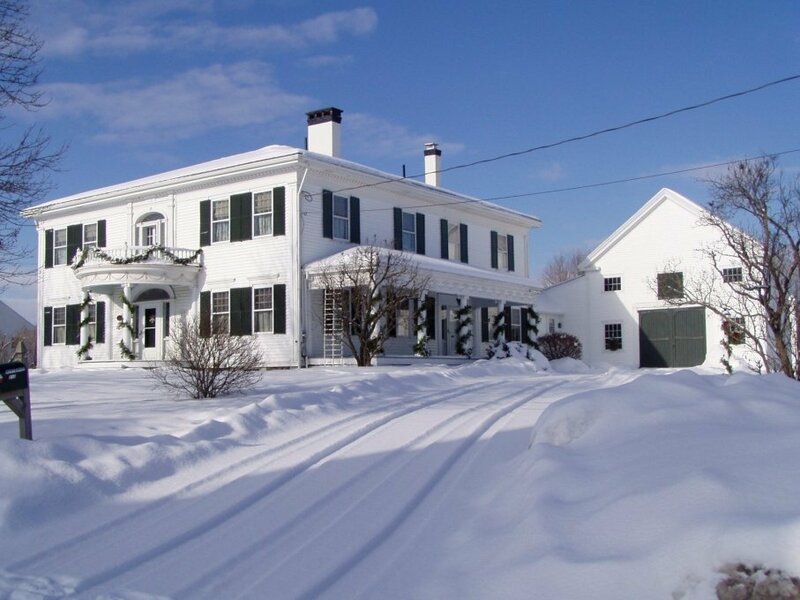 Mrs. Dunton moved into the new house and became Thomaston's first milliner and also sold fancy goods and groceries to support herself until her death in 1812. The Reverend Ingraham bought the house about 1817 and sold it in 1830 to Reverend Richard Woodhull, his successor in the pastorate who, four years later, sold it to Joel Miller. The house features a symmetrical facade, with a side porch and hip roof with a narrow overhang. A prominent semicircular covered front entrance supported by columns and a wide fanlight and sidelights surround the beautifully crafted large front door. A similar treatment is repeated on the second floor balcony door, giving the impression of a Paladian window. Graceful swags embellish the base of the curved balcony. 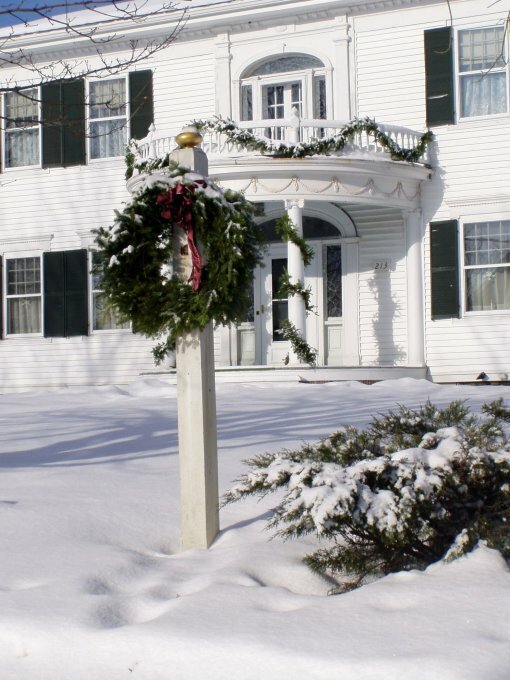 White was the preferred color for wood clapboard siding of the many homes in town of this style, usually with dark green or black shutters. There is a photograph taken in the early twentieth century of this home that shows it pained a dark color, possibly a dark gray. The home's interior maintains most of its original detailed woodwork and other marvelous architectural features. There are two main staircases, neither one a "back staircase" used by maids that traditionally was in or near the kitchen area. In this house, one staircase is traditionally placed opposite the front door and the second to the east side of the house coming from the bedroom level to the area just east of the dining room. Both run from the front to the back of the house. Most of the rooms are extremely large, especially the double living room and the master bedroom. The house is presently owned by Carol Achterhof.